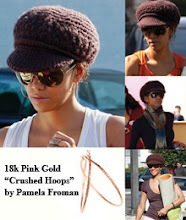 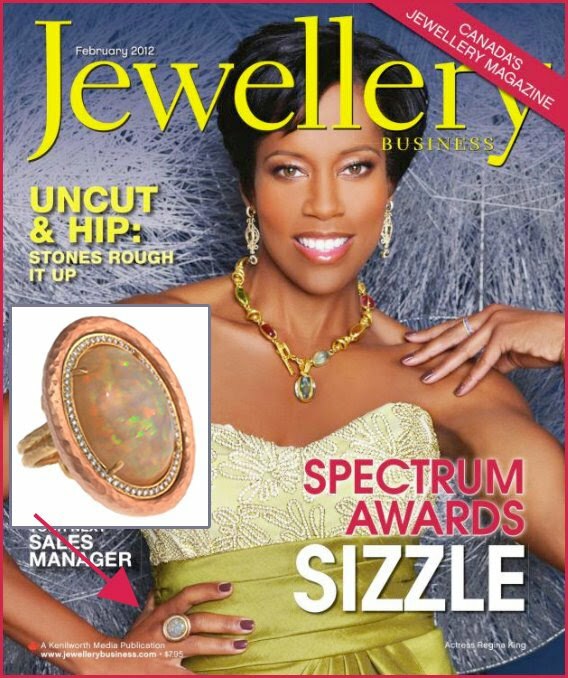 Pamela Froman's Ring on Regina King! We were thrilled to see Southland's Regina King wearing Pamela's Spectrum Award winning "Crushed Frame" cocktail ring on the cover of Jewellery Business Magazine! 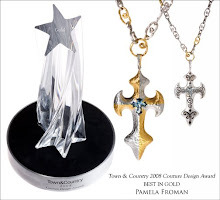 Let the good times roll all year long, with colorful designs from Pamela Froman! 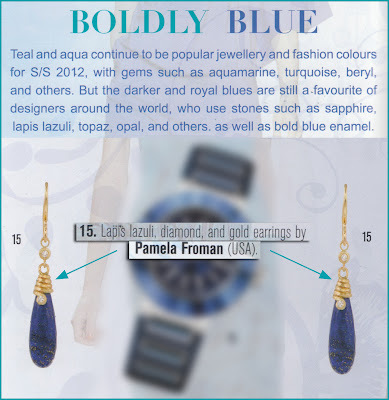 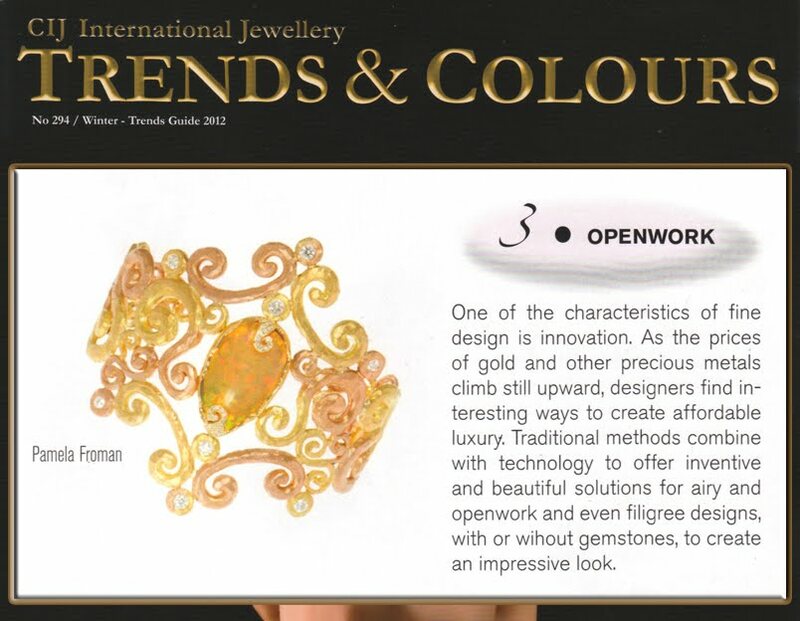 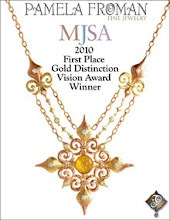 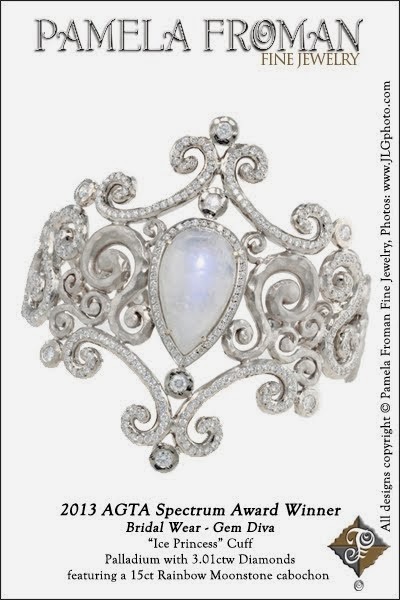 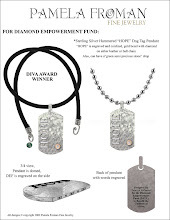 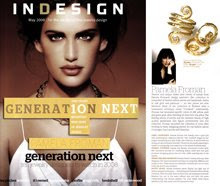 CIJ (Couture International Jewellery) featured 2 Pamela Froman pieces in their Winter 2012 Trends Guide! 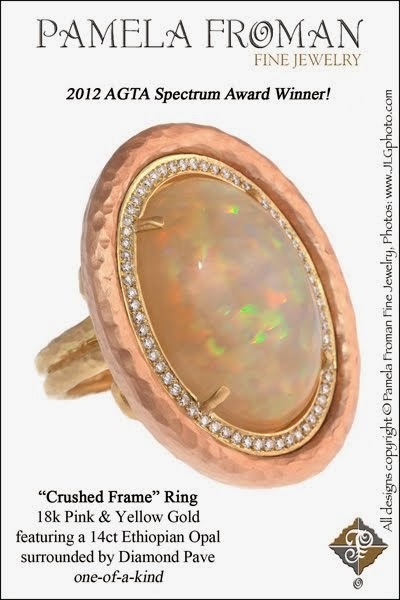 This year, tell your Love it's more than just a crush with a unique "crushed gold" heart-shaped ring from Pamela Froman! 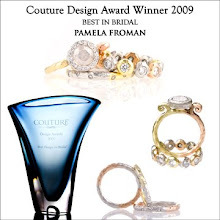 The rings pictured above are 18k Yellow, 18k White/Yellow, and 18k Pink/White, with a single princess-cut or multiple brilliant-cut diamonds for just the right amount of sparkle. 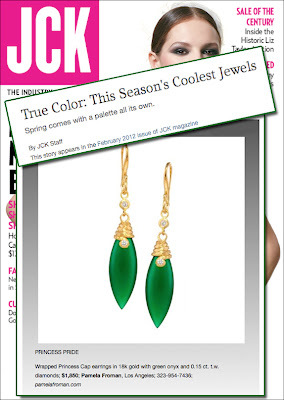 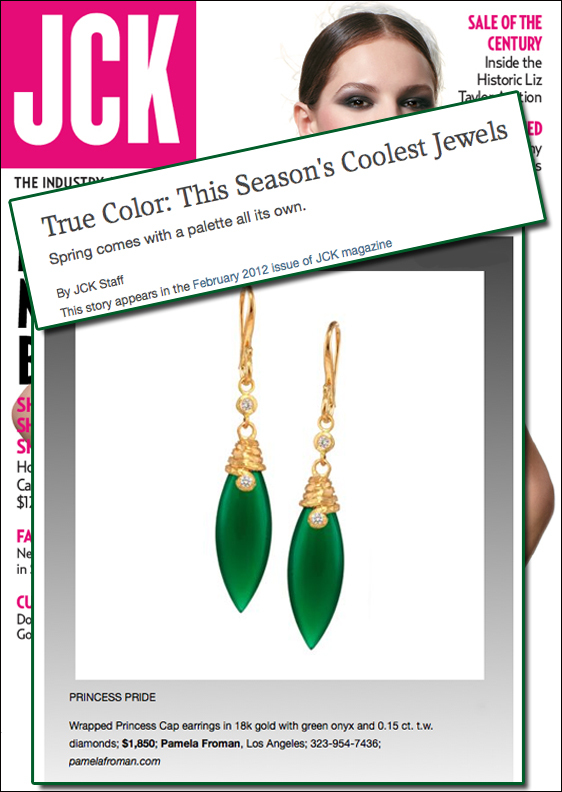 We're flattered to see Pamela's "Wrapped Princess Caps" (in 18k Yellow Gold with Green Onyx & Diamonds) featured in JCK Magazine's write-up on This Season's Coolest Jewels! 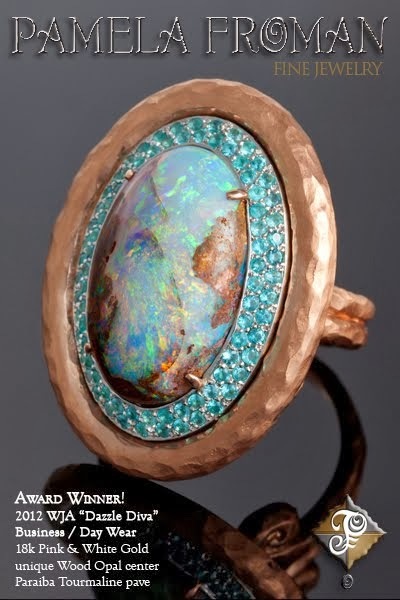 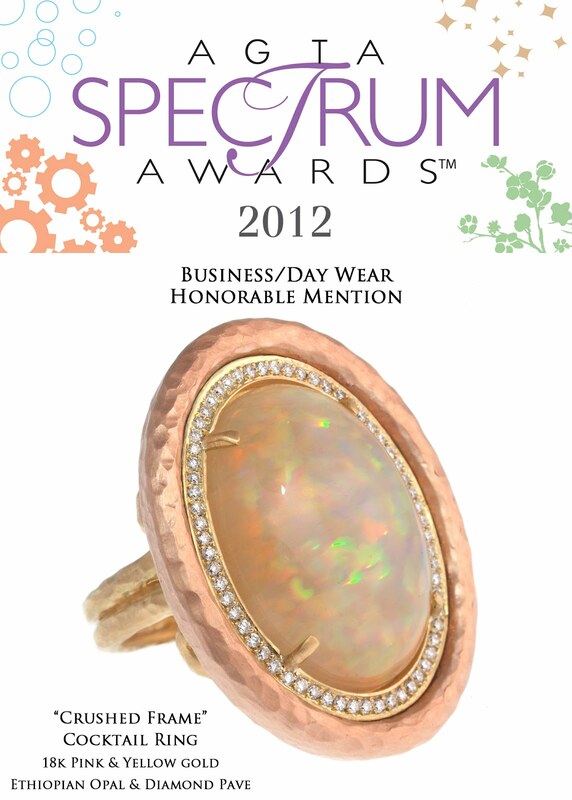 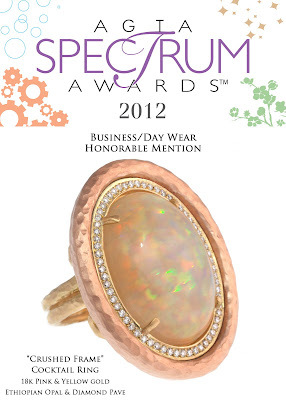 We always enjoy visiting Tucson in February to shop for gorgeous gemstones... but attending the fabulous AGTA Spectrum Gala to accept an award makes the trip even more special!